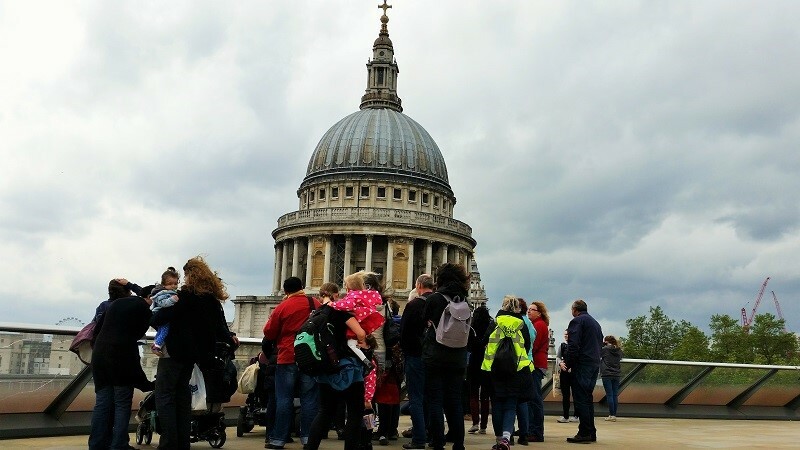 Reviewer Story: Tina reviews London! I’m Tina and I do reviews on Euan’s Guide as T_H. I have a mobility disability, as a result of an accident, and walk with a crutch. I was appalled to find how hard it is to find good, useful information about accessible venues, and that’s when I discovered Euan’s Guide, it was helpful and reassuring and gave me the confidence to go out again. Most of my reviews are about London, as I live there. As well as the obvious tourist attractions, there are some delightful and unexpected places with great access. One of my favourite places is Two Temple Place, it’s an impressive, Victorian, town house which was built for millionaire, William Astor, and it certainly has the wow factor. It occasionally opens to the public, including hosting free, temporary, annual exhibitions, and in 2018 it will be “The Age of Jazz” and there’s also a charming, tea room. 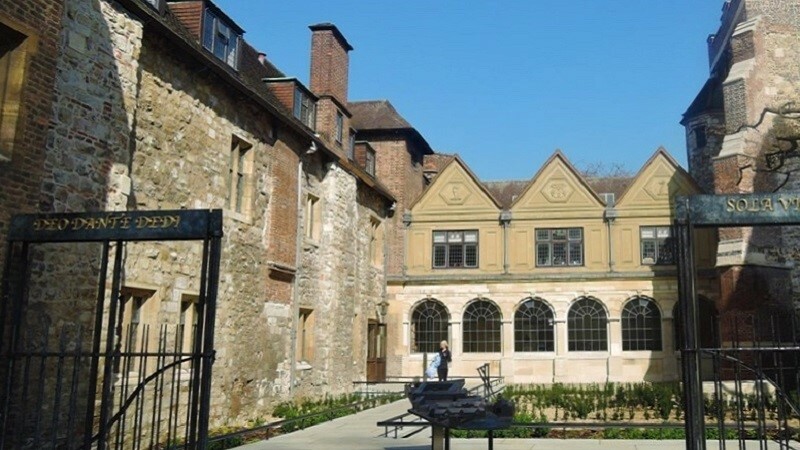 The historic Charterhouse, has recently open to the public, with a free, small museum, beautiful, small chapel and adjacent café. In the museum, you can discover its amazing history from former burial site during the Black Death, monastery to a school and alms houses. Another recently opened place to visit is the City of London Police Museum, a fascinating, small, free museum. The City of London have their own police force, with the rest of Greater London being served by the Metropolitan Police Force. The museum tells the story of crime in the City, including the infamous Jack the Ripper. Also in the City of London, very close to St Paul’s Cathedral is One New Change, shopping centre, which has a roof terrace, offering stunning panoramic views of St Paul’s Cathedral and the London Skyline (look out for the London Eye). It’s open daily, from 6am to midnight, with free admission, and step free access via lift and ramp. There’s also disabled accessible toilets on the lower ground and 1st floors, which require a radar key obtainable from the Management Offices, on the 1st floor. There’s also a wide choice of shops and restaurants. Photo: Accessible roof terrace with views of St Paul’s Cathedral. Close by St Paul’s Cathedral are two of my favourite small, secret gardens. Christchurch Greyfriars, King Edward’s Street, EC1, is a delightful, step free small garden housed in the remains of a church, designed by Sir Christopher Wren, which was bombed during the Blitz in World War II. 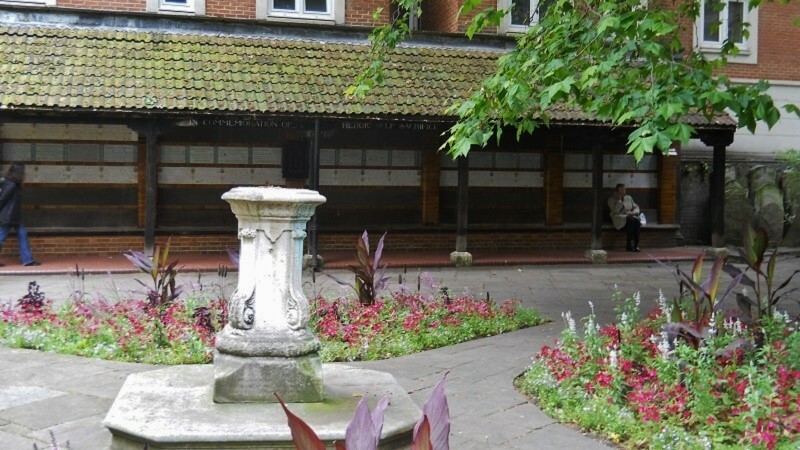 Postman’s Park is a small garden which houses Watt’s Memorial of Heroic Self Sacrifice. The memorial tablets are dedicated to people who died trying to save the lives of others. The park has two entrances but the one on King Edward’s Street, EC1, is step free. Photo: Postman’s Park secret garden. The other thing I really enjoy is discovering great cake places. The Delaunay Counter in Covent Garden is a long-standing favourite of mine, offering eat in or take away. It serves wonderful Austrian style pastries, which are almost too good to eat. If you’re looking for somewhere special for afternoon tea I’d recommend Crocker’s Folly, in St John’s Wood, North London, an affordable restaurant and bar, with very glamorous and decadent surroundings. Maison Kayser, a French bakery, very appropriately just opened on Baker Street, near Selfridges. There’s takeaway or eating in, their French pastries are impressive and the hot chocolate was served topped with cream and a mini chocolate muffin. 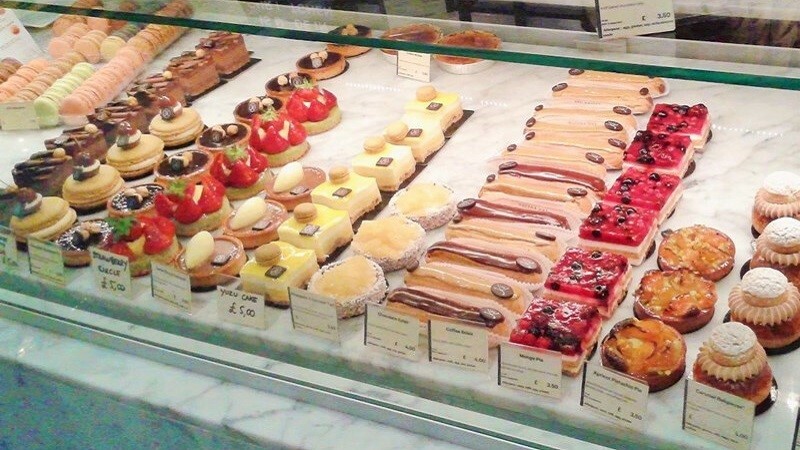 Photo: Cakes on display at Maison Kayser. My Euan’s Guide reviews tend to be very positive, that’s because I carefully choose where I go. I’m not going to visit somewhere where I’m not able to use the toilets or where there’s awkward staircases. When I visit somewhere new I try to remember the headings on the review template as that gives me a structure to the review. I try to be as factual as possible and describe what the venue is like, as what’s doable for me won’t be doable for someone else, and vice versa; but if we know what to expect we can make informed choices about where we go. Whenever possible I take photos, especially the toilets, being able to use the facilities is a key factor on planning my trips out. What’s impresses me most has been the attitude of staff and the ethos of the venue. Venues with clear and easy to find disabled access information on their website make me feel that they are being inclusive and welcoming. I’ve been surprised how many times I’ve had to phone a venue and ask about their accessibility and the person who answers it has to go and ask their manager the answer. Places I have visited which have really impressed me are the Wellcome Collection, the BFI, the Royal Society and Picturehouse Central, with their staff who are friendly, welcoming, proactive in anticipate my needs and confidently answer all my questions.